Maybe it’s because Age of Empires II is still hugely popular, maybe it’s because Bill Gates wants it done, either way there’s going to be another brand new, original expansion to 1999's Age of Kings released on the PC soon. This will be the third new expansion released for the HD version of the game that’s available on Steam, and focuses on four major South East Asian civilizations: the Burmese, Khmer, Malay and Vietnamese. 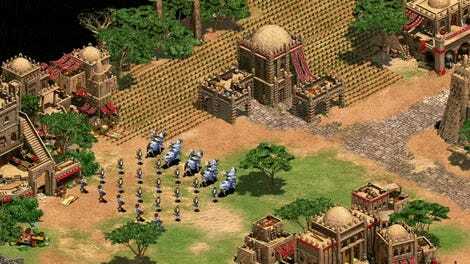 It’s called Age of Empires II HD: Rise of the Rajas, and each faction will get its own unique units and buildings, along with four fully-voiced campaigns and a bunch of new maps. It’ll be out next week.